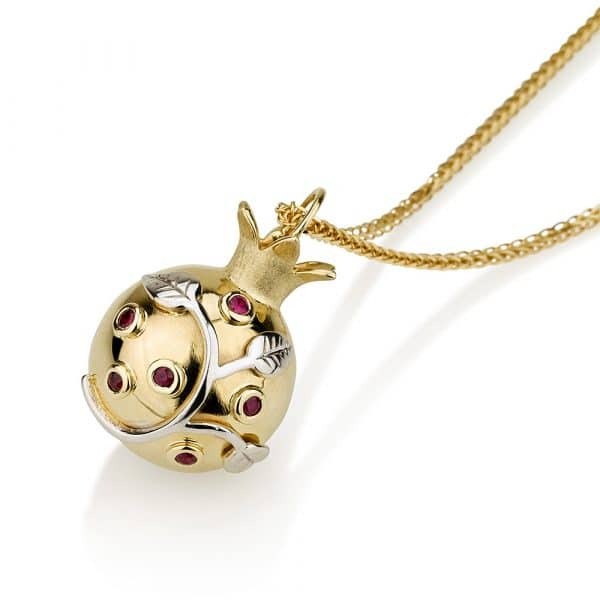 This stunningly pretty pendant has a shape, resembling a pomegranate. The entire surface also adorns a floral vine and pomegranate pattern, represented by sparkling ruby stones. The pendant is made from 14k yellow gold, whereas 14k white gold stems are embellished. 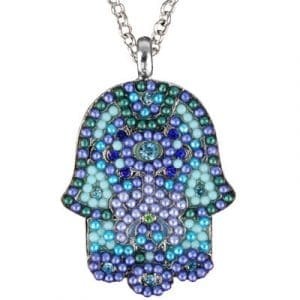 This stunningly pretty pendant has a shape, resembling a pomegranate. The entire surface also adorns a floral vine and pomegranate pattern, represented by sparkling ruby stones. The pendant is made from 14k yellow gold, whereas 14k white gold stems are embellished. 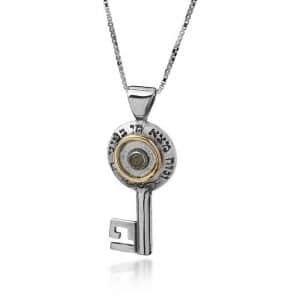 Buy this classic Jewish motif for wearing around the neck today! 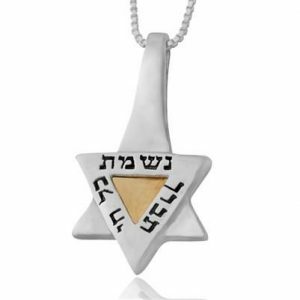 Buy this classic Jewish motif for wearing around the neck today!